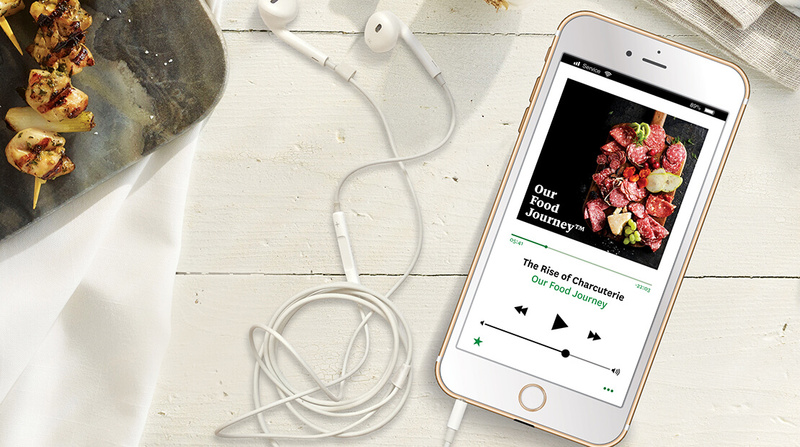 Hormel Foods announced a podcast series called “Our Food Journey” to help illustrate the company’s social responsibility efforts. The series involves discussions with master chefs, food entrepreneurs, food scientists and Hormel employees. Hormel has joined the growing number of food and beverage companies realizing it needs to emphasize sustainability initiatives in order to meet consumer expectations about transparency. There are some tangible reasons to take these steps. According to Nielsen, 45% of consumers are more likely to buy products based on a company’s commitment to sustainability — and they could lose sales dollars to competitors who show more willingness to make these commitments. Nielsen also reported that 66% of consumers say they would pay more for sustainable brands, and 73% of millennials and 72% of Generation Z agree. Big food firms have adopted different initiatives to reach sustainability goals. Nestlé has used reverse osmosis to better filter wastewater, which it then applies to landscaping and uses for irrigation. Nestlé Waters plans to certify 20 factories for meeting a water stewardship standard by 2020, the first beverage company in the world to make such a conservation commitment. AB InBev made a global commitment to have 100% of its purchased electricity come from renewable sources by 2025. The brewing giant is also looking into better crop management techniques, such as developing seeds that require less water to grow. Hormel has developed a sustainable agriculture policy and completed a water risk assessment of its top suppliers. In its most recent corporate responsibility report, it pledged to reduce product packaging by 25 million pounds by 2020. The company also plans to reduce 10% of its nonrenewable energy and water use, as well as cut down on solid waste sent to landfills and greenhouse gas emissions by 2020. The podcast series seems to be taking a different tack on sustainability than the environmental goals. Given that Hormel has invited chefs, restaurateurs, cultural anthropologists, food scientists and beverage experts to be part of it, the company is looking both within and outside Hormel to bring new viewpoints and knowledge to food-related discussions. Millennial consumers with an interest in these specialties are likely to find the podcast series appealing since it’s not a typical outreach method from a food company — like commercials, magazine ads, mailers or TV shows. It also shows Hormel is positioning itself on the cutting edge of the conversation about food and using the latest techniques to make itself heard. Should the target audience tune in and like what they hear, other CPG brands could try similar approaches as they look to differentiate themselves in an increasingly competitive marketplace.